The following descriptions outline what a visit to our lab with your child may look like. Studies involve visiting our lab space at the Arizona State University Tempe Campus. The visit will be held in the Psychology Building and involve having your child play a fun game or watch a video. Visits last between 30-45 minutes, and families receive a gift for participating. Participation is voluntary. Sibling care is offered during the visit and all parking is free to the family. Parents will be with their child during all parts of testing. 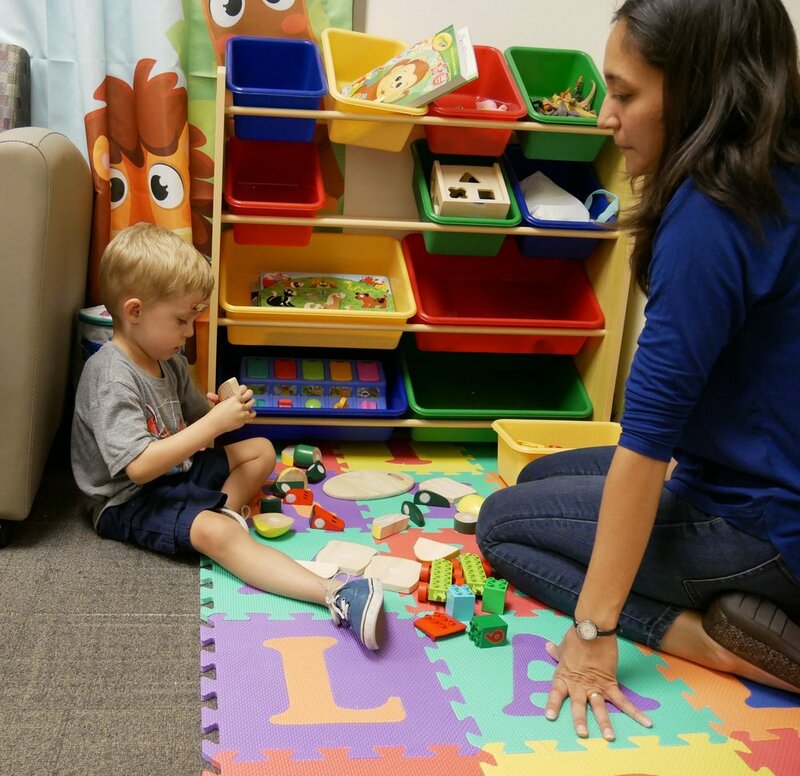 Our family-friendly lab space is set up with a play area, comfy couch, and lots of fun pictures. Our lab members strive to create a friendly and safe environment for you and your child, so don't be afraid to reach out if you need anything. We're always here to help! When families visit us at our lab, we have children complete study tasks in what we like to call our “Tree House.” The “Tree House” is a sound booth similar to one in which hearing tests are performed. We do this to limit outside noise and distractions that may disturb children as they are participating in our studies. We welcome parents to join us in the sound booth or observe the study via a computer monitor just outside it. Families with children under the age of 7 are eligible to participate. Sign up to participate in our research!